Do you have gold coins you would like to sell? 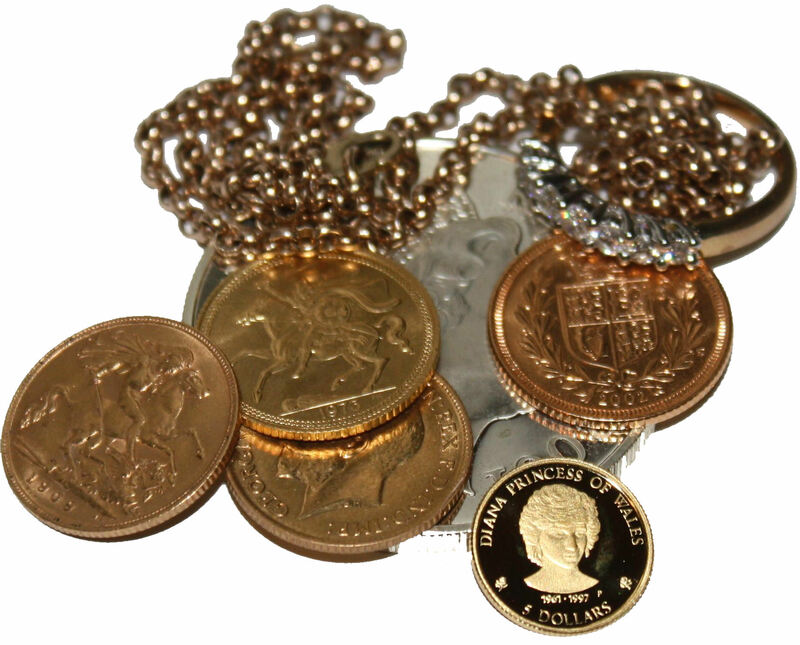 If you are looking to sell your gold coins, then we can offer you the very best prices. We are always looking to buy coins of any grade and quantity. This is not a new service from Allgold but with the current trend and TV advertising for Cashing in on unwanted Gold and jewellery we feel need to clarify to make customers fully aware of what to expect from such services. We understand that some companies offering cash to customers for gold and other precious metals are offering less than 10% of its retail value. You may send to us or request a addressed envelope to place your items to be valued and if you are happy with the price sell to us. The price we offer will depend on the price of the metal on the day it arrives with us. We are happy to give a guide to value of your items over the phone but as the price of metal varies on a day to day basis it can only be confirmed upon arrival. We aim to offer the very best rates of return which in some cases will be 10 times that of some of the advertising companies. We will aim to pay a minimum of 80% of minimum metal value, this varies slightly on quantity as single items with low value can incur disproportionate postal fees as everything is fully insured.